“So You Are Thinking Of Adopting Your First Golden Retriever, But Aren’t Quite Sure How To Go About It? Do You Want To Choose The best Puppy For You, How To Train Them And Keep Them Happy And healthy? I was in the same position 15 years ago. There wasn’t a great deal of information out there and the internet was nowhere near as advanced as it is now. That’s why I have put together a downloadable new eBook called ‘Loving and Living with Your Golden Retriever’. Just imagine being able to train your golden retriever in a very short time without becoming stressed or disappointed. It’s perfect for the beginner, although the truth is most so called “experts” don’t know half of what’s covered in this comprehensive manual that anyone could follow and reference at any time. It takes you by the hand, step by step and shows you exactly what to do. 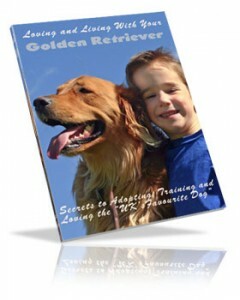 That’s what this brand new amazing eBook on golden retrievers can help you do – Plus you can…. How to choose the perfect Golden Retriever puppy. How to prepare your home for your new puppy’s arrival. How to provide basic training for your puppy… and how to do it effectively. Caring for your Golden Retriever: useful information on grooming, nutrition, and health. But best of all…This eBook “Loving and Living with Your Golden Retriever’ is written in plain, easy to understand English (This means that you won’t find any super complicated technical jargon here) – It’s written to be dead-easy to read and understand, and it’s laid out so you can easily follow it. Furthermore, if you are not entirely satisfied with this eBook and it doesn’t help you in any way, then I will refund you the cost of the book. 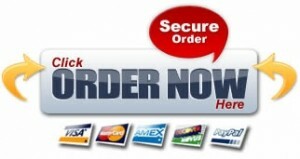 No questions asked, just send me an e-mail requesting a refund within 60 days of purchase. I can’t say fairer than that!